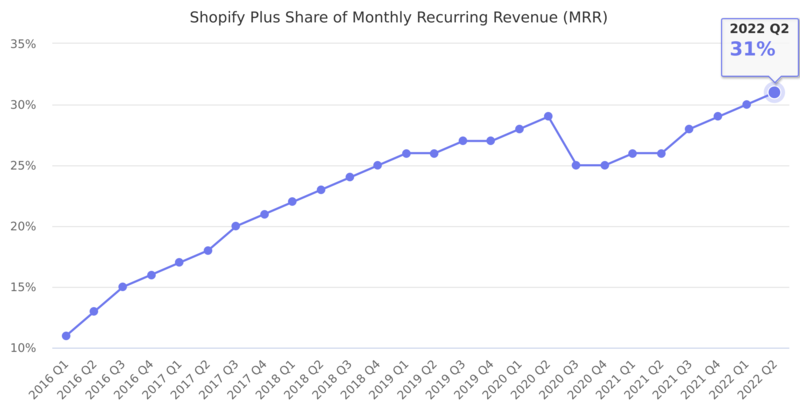 Share of Monthly Recurring Revenue (MRR) contributed by Shopify Plus stores. Shopify Plus is a subscription plan for merchants with higher volume sales and additional functionality requirements, that was launched in 2014. Last reported quarter 2018 Q4 it was 25.0%, up by 19% year-over-year from 21.0%.